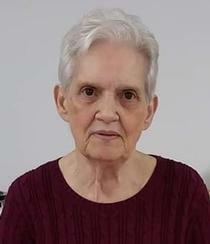 Phyllis Ann Clark, 81, of Proctorville, Ohio passed away Monday, April 8, 2019 at home. She was born November 30, 1937 in Huntington, WV daughter of the late Ivan and Pauline Farris. In addition to her parents, she was preceded in death by her husband Eugene Clark; one sister Linda Sexton; and two brothers Ira Farris and Bobby Farris. She was a member of Pine Grove Missionary Baptist Church. She is survived by a daughter Tana Watkins of Proctorville, Ohio; one granddaughter Brittany (Hank) Skaggs of Proctorville, Ohio; four great grandchildren Bradley, Hunter, Ryleigh and Lillee; one sister Rosemary Johnson of Proctorville, Ohio; and several nieces and nephews. Funeral service will be conducted 2 p.m. Wednesday, April 10, 2019 at Pine Grove Missionary Baptist Church Proctorville, Ohio with Pastor Eddie Salmons officiating. Burial will follow at Pine Grove Cemetery, Proctorville, Ohio. Visitation will be held one hour prior to the service at the church. Hall Funeral Home and Crematory, Proctorville, Ohio is assisting the family with arrangements. Condolences may be expressed to the family at www.ehallfuneralhome.com.